Lee Westwood shares the lead at Valhalla after opening up with a six-under-par 65. That’s the Englishman’s best single round score in the PGA Championship, matching the 65 he shot in the third round of the 2011 US Open for his best in any major championship. In a Ryder Cup year, the leaderboard after round one makes for good reading from a European perspective. In total, European golfers occupy 11 of the top 20 spots, and, more importantly, the majority of the top ten places. Could Rory McIlory win back-to-back majors? Well he is is well placed to give it a go after a first round of five-under-par. The Northern Irishman carded an impressive eight birdies in round one, going on a streak of four in a row between the 12th and 16th. Tiger Woods eventually turned up at Valhalla to play after an injury scare, but after a three-over first round that included only one birdie, which he needed to chip in for, he may wish he had sat this one out. He has a fight on his hands to make the weekend. The 51-year-old proved he can still mix it with the best after finishing on one-under-par. His last appearance in a major came at the 2010 PGA Championship where he finished dead last on 18-over. This time around, he’s the joint leading Scot after round one. What a turnaround. 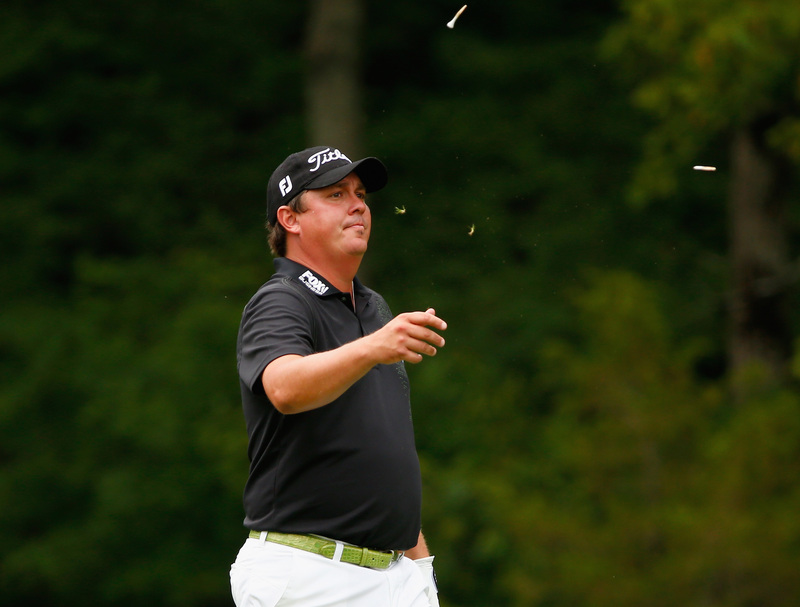 Round one was painful for defending champion Jason Dufner in more ways than one. The American was four-over after three, and went out in five-over-par. Suffering from neck pains throughout, the American triple-bogeyed the tenth before calling it a day and withdrawing. Ouch. The 33-year-old finished seventh in the Open last month, having arrived at Royal Liverpool ranked 146th in the world. He then rose to 97th in the rankings after his top ten finish. This week, the Italian is one shot off the lead after posting a five-under-par round of 66. A return to form after three years on the slide? Yesterday, there were 103 birdies made on the ninth and 18th holes combined. Contrast that with 70 on the first and tenth hole, and the stats show if you can get off to a good start on both nines, then you could be rewarded with a good finish. Watch out for the 15th hole at Valhalla. In the first round, it claimed 14 double-bogeys from the field. More than 14, 16, 17 and 18 put together. If only someone had warned Darren Clarke before he took a seven at the miserly par-4. The tenth ranked as the 15th easiest hole in the PGA Championship's first round, giving away 39 birdies and just 18 bogeys. However, world No.1 Rory McIlroy walked off the tenth with a double-bogey. If it hadn’t been for that slip up, he would be the outright leader. Interviewer: “Have you been doing extra fitness work, because you're looking in quite good nick? Interviewer: It’s pretty hard for somebody to write a negative opinion about you right now? One of golf’s brightest stars, the 21-year-old Italian is expected to be in with a chance in the majors. He may want to forget round one of the PGA Championship, however. He’s nine-over after a round that included three double-bogeys. With the Ryder Cup in everyone’s minds, players in need of a captain’s pick such as Lee Westwood and Ian Poulter and are all inside the top 20. Will any of them carry on their good form and send a message to European captain Paul McGinley? Keep an eye on Tiger Woods’ back. Although he seems to be holding up fine at the moment, we saw at the WGC-Bridgestone Invitational last week that Woods’ fitness is still a cloud hanging over his head. Will he join Dufner on the injury list? Stephen Gallacher and Colin Montgomerie are both nicely place on one-under-par, five shots off the lead. A round of two or three-under from either of the Scots may see them head into the weekend with a chance of PGA Championship victory. Can they keep it going?